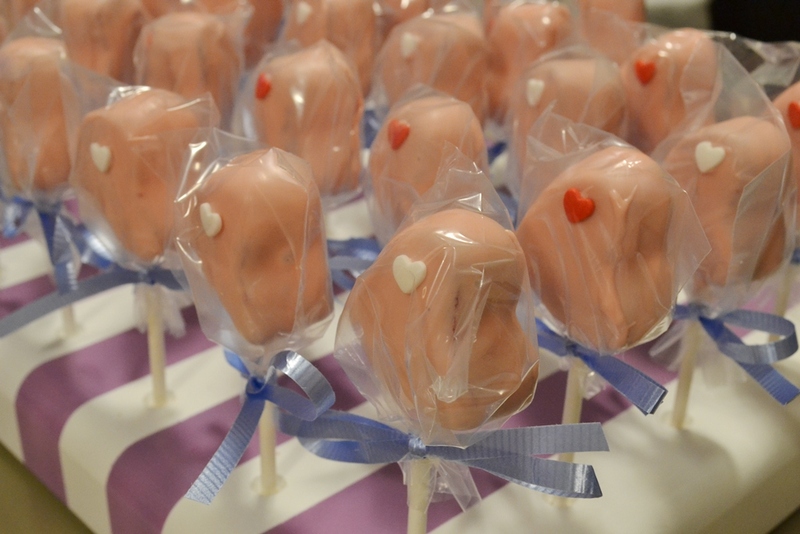 Cute little heart cake pops. 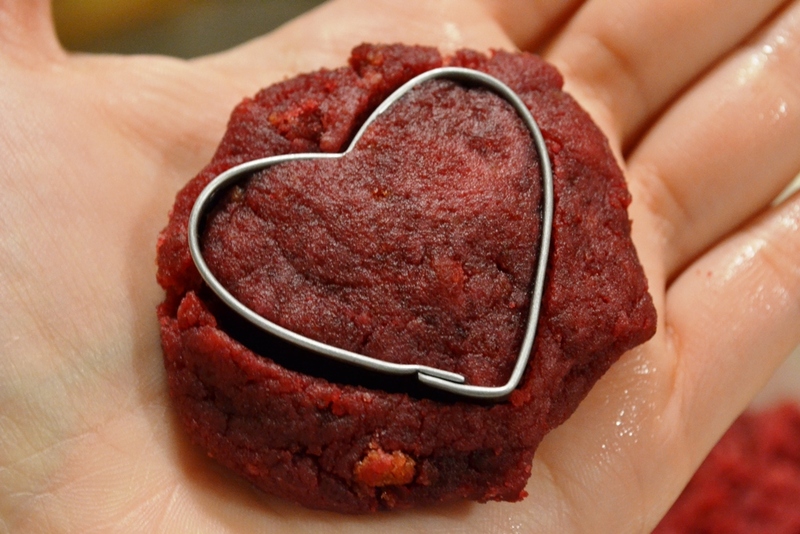 Time to post another Valentine’s Day baked good. I know, the day has passed already but why not make those little ones for other occasions. You could make them for Mother’s Day, Father’s Day, random occasion to tell someone you love him/her. Hearts are not just for Valentine’s Day, the are for any occasion. 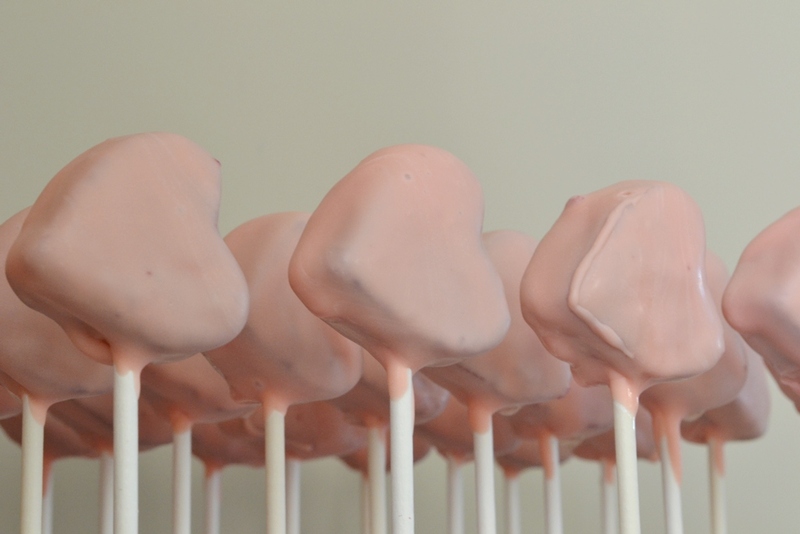 Making cake pops is fairly simple and you can make them in any shape you like. 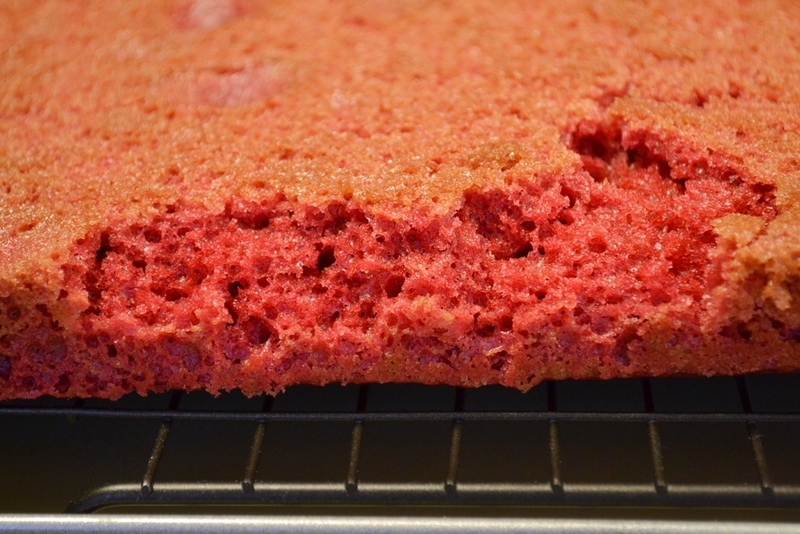 Many instructions tell you to use a cake mix to bake your cake. I recommend to find your favourite from scratch cake. It doesn’t take much more time and you can control the ingredients and amounts better. 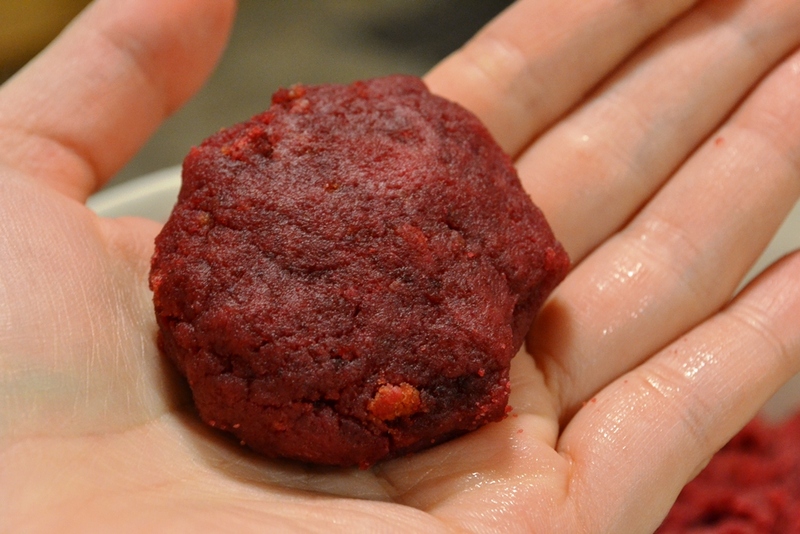 For these cake pops I used a red velvet cake. You can find the recipe here. 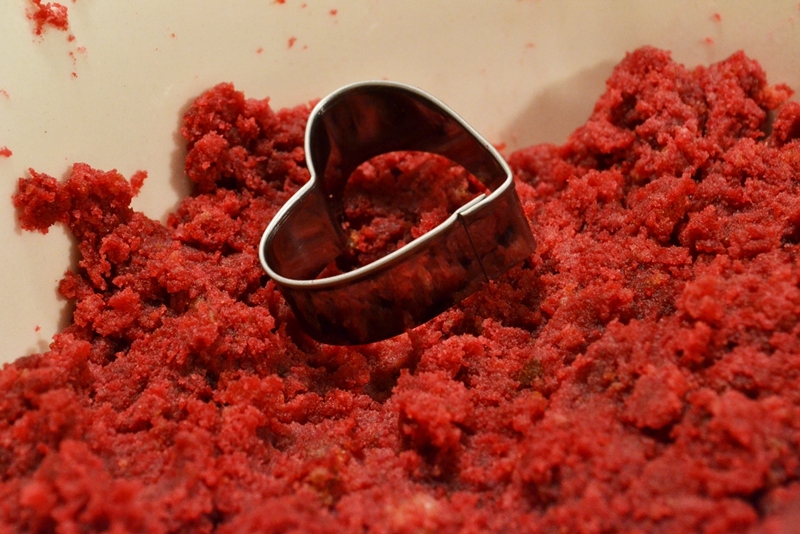 Once your cake is cooled cut it up and crumble it in a bigger bowl. Make sure your bowl is of sufficient size because you will mix with your hands. Take vanilla or chocolate frosting (I used the pre-made frosting and I am not sure if I could make one from scratch) and mix about half of a container into your cake. Depending on the moisture content of your cake (including how oily it is) you will need either more or less of half a container. Make sure when you form a ball it sticks together well. Remember, you will stick a lollipop stick in those balls and they should not fall off. 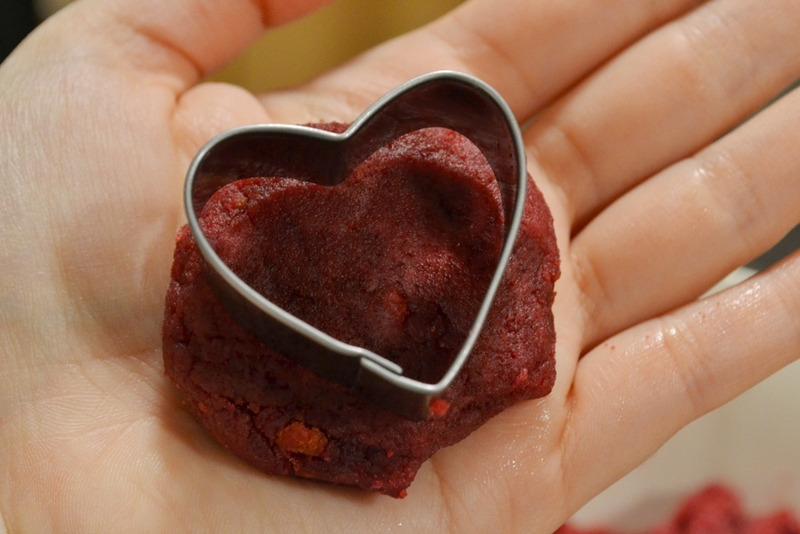 For heart cake pops I used a smaller cookie cutter to make the shape. Take some of the mix into your had and press it well, make sure it is as thick as your cookie cutter. Then cut out the shape and place on a plate or something similar. 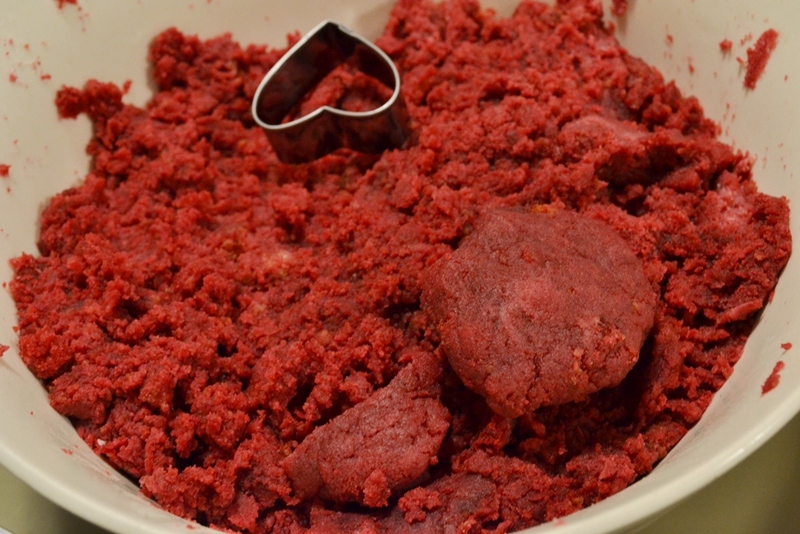 Once you’ve used all your mix you should place the cut out shapes in the freezer for about 10 min. While they chill in the freezer you can prepare you chocolate. Either you use coloured chocolate or regular one, it is up to you and what design you are going for. I mixed white chocolate with some read to create a nice pink. Tip: Use some shortening to thin out your chocolate. This makes dipping easier. Take out some of your shapes, dip a lollipop stick into the chocolate and stick it into the shape. Place on a plate and finish the rest. Place them into the freezer again and re-do until all are finished. Then remove your first batch to dip completely into the chocolate. Slightly tap to remove excess chocolate and then stick them into a Styrofoam block. If you have a cake pop stand you would use that. Finish the rest of your cake pops the same way. Cake pop stands are blocks of wood or acrylic plastic into which holes have been drilled. They come in different sizes. I have a wooden one for 30 cake pops and it’s really handy. It is possible your cake pop cracks or leaks. The crack happens because the cake pop was too cold and the chocolate too warm. The leaks have something to do with the moisture content I believe. Neither is not too bad, at least not with the heart cake pops. Almost all my cake pops cracked and I simply used a toothpick dipped in chocolate to cover the crack. Since those cracks happened on the edge it gave the whole thing a little artistic look. If you have some fluids dripping, wipe it away with a paper towel. 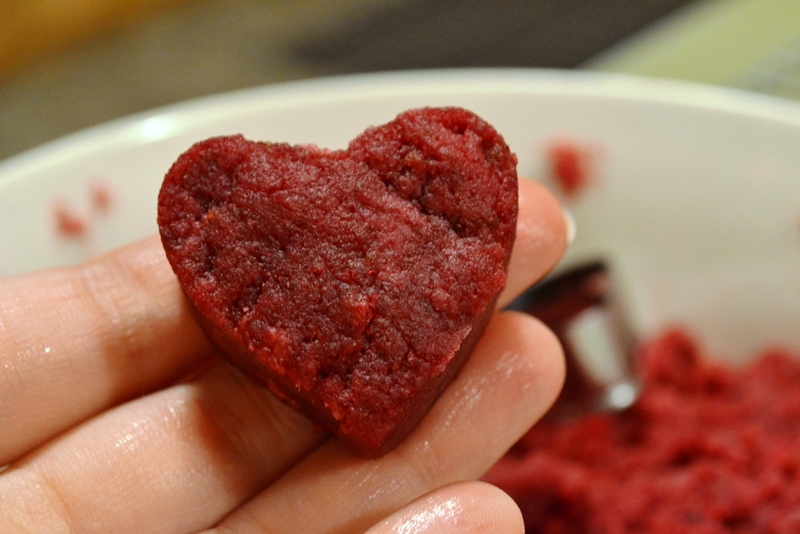 You can dip the hearts twice if you like, use another colour the second time and only dip parts. You can sprinkle them right away with anything you like. 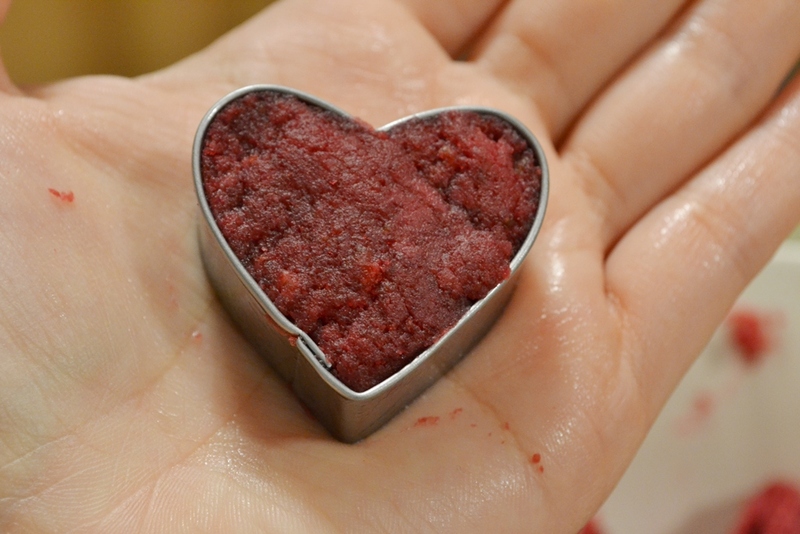 I used a toothpick and a bit of chocolate to attache a small sprinkle heart. You can buy lollipop bags to wrap the cake pops if you will give them away or they are for sale. If they are for your own party then you do not need to wrap them necessarily. Posted in Cake Pops, Little Treats and tagged baking, cake pop, chocolate. hearts, how to, instructions, treats. Bookmark the permalink. Beautiful cake pops. What did we do before them?